There’s someone wielding a 5 1/2 inch diskette! Don’t let it anywhere near your computer! 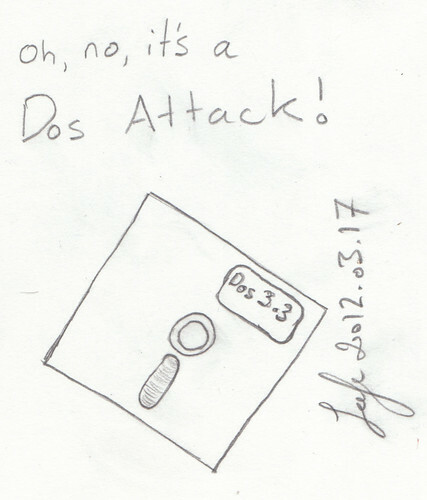 This entry was posted in Comics and tagged cartoon, dos attack, drawing. Bookmark the permalink.